The Robbe & Berking Atlantic Stainless Steel Five-Piece Place Setting is available in a Polished Finish or Satin Brushed Finish. This set is wholly exemplary of balanced proportions and high quality. 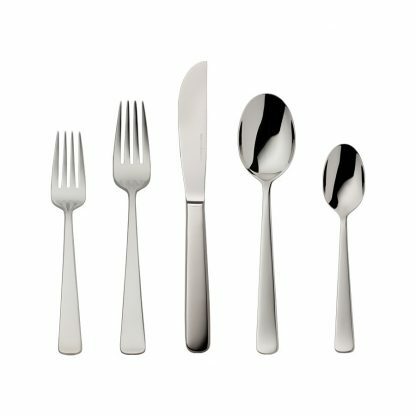 This set includes one each of Dinner Fork, Dinner Knife, Dessert/Soup Spoon, Dessert Fork and Coffee/Dessert Spoon.